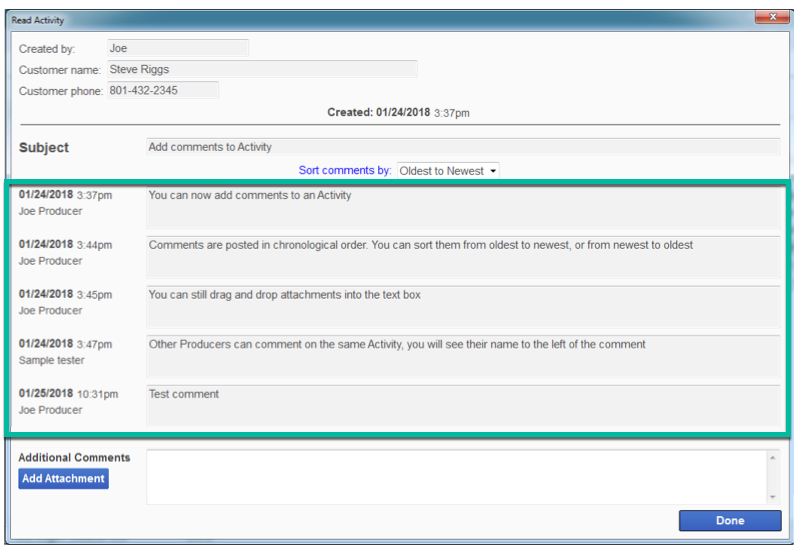 You can now add multiple comments or attachments to an Activity. This allows you to create an ongoing thread for a single Note or Follow-Up. 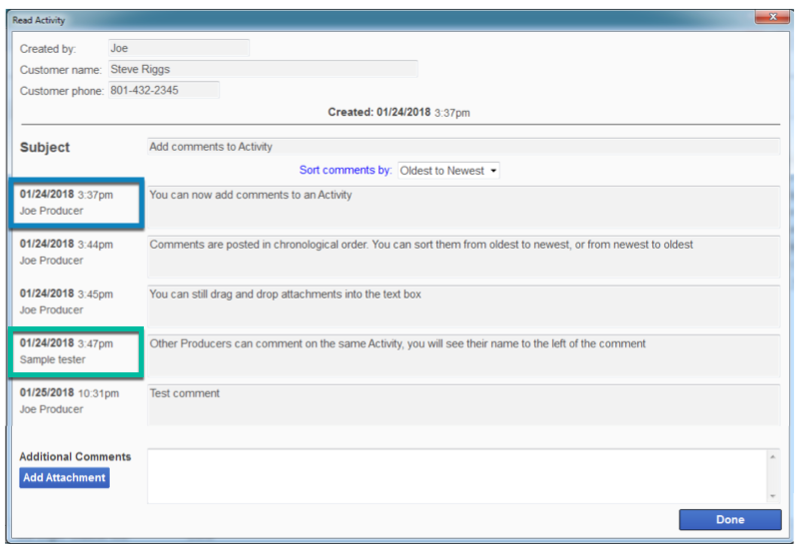 Multiple Producers can comment on a single Activity as well! 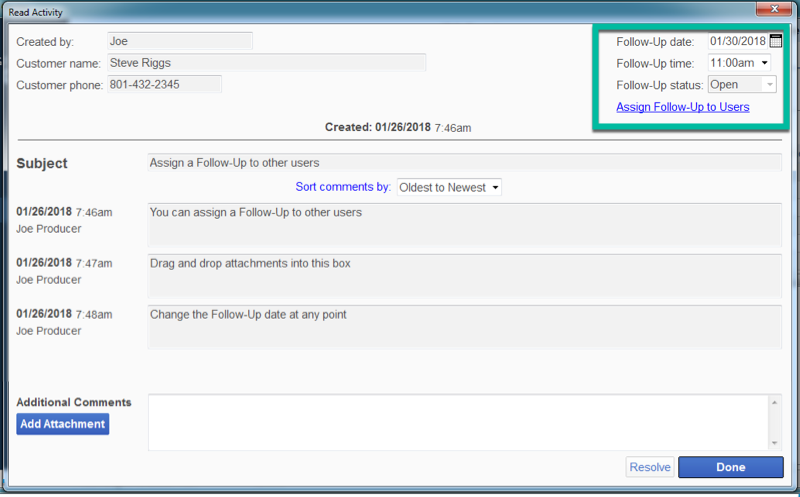 For Follow-Ups you can change the date, and Assign to other users.